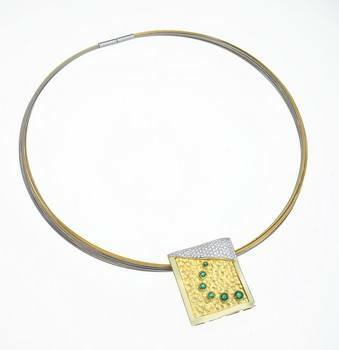 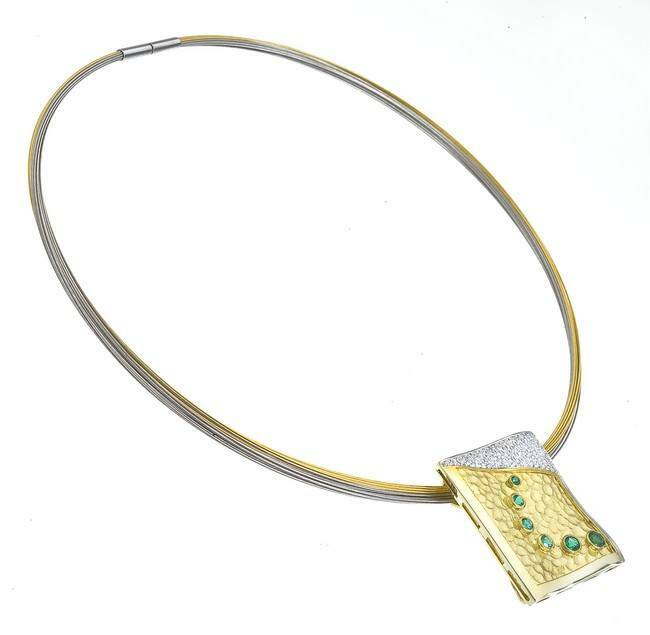 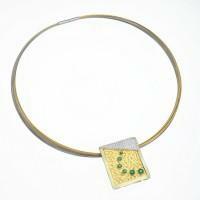 18kt yellow gold modern square pendant featuring Emerald rounds of .98ctw bezel set in a hammered background. The top right corner is embellished with round brilliant Diamonds of 1.51ctw. 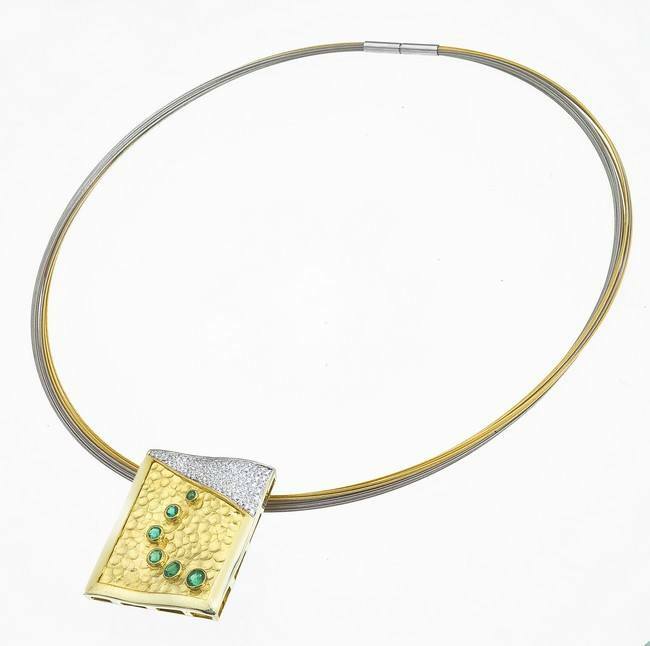 This multi-functional pendant can also be worn as a pin. 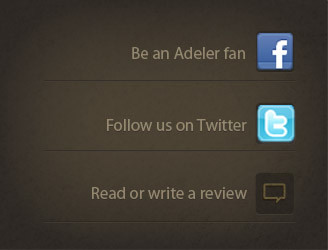 This is a Jorge Adeler one of a kind piece.